When it comes to feedback, our happy customers always offer Apex Auto Glass as the best solution for windshield repair in Lompoc. Right at your place, always on time, low cost, quick and friendly! Our pride resides in making sure you are 100% happy with our services in windshield replacement or repair. Does that glass crack look like it can’t be repaired? Guess what? If the windshield chip is no bigger than a quarter and it isn’t in the line of sight of the driver, then there’s 99% chance it can be fixed and you won’t need a replacement for your windshield. If it can be fixed, our skillful Technicians guarantee to do it for you on the spot! Sometimes the crack is too big to be fixed; still, don’t worry. 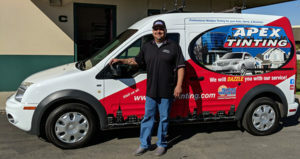 Our team is ready to replace your windshield for the best price and in very little time. Don’t hesitate to give us a call to set an appointment, our Technicians will get to you right away so your windshield will be replaced quickly and easily. Have ADAS (Advanced Driver’s Assistance Systems) on your car? As little as 15 minutes to repair that auto glass! Whenever you need a windshield chip repair or windshield replacement for your car, our team at Apex Auto Glass will be ready. How do you know if the window or windshield requires a replacement, or if the chip can be fixed? Making the wrong decision can cost you hundreds of dollars! We guarantee to repair all fixable windshields.And don’t put it off, driving with a damaged windshield could put you in life threatening situations. This is why Apex Auto Glass is offering you a FREE windshield assessment for your windshield. 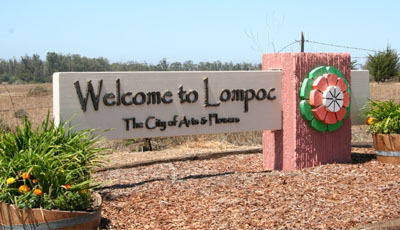 Don’t forget to add this page to your bookmarks for Windshield Repair and Replacement in Lompoc, 93436, 93437, 93438.